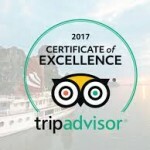 Immerse yourself in local Southeast Asian cultures and traditions through the “weird” and wonderful street food it has to offer. 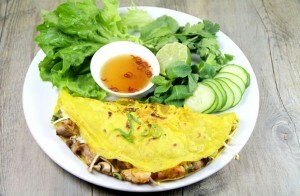 Your travels will not be complete without sampling the weirdly wonderful street food that Southeast Asia has to offer. These foods are not for the faint-hearted; they are meant to challenge your perception of food and offer you a glimpse of diverse local cultures, traditions and beliefs. After all, what’s “weird” to you may be another man’s prized delicacy. Read on for a little taste of culture. 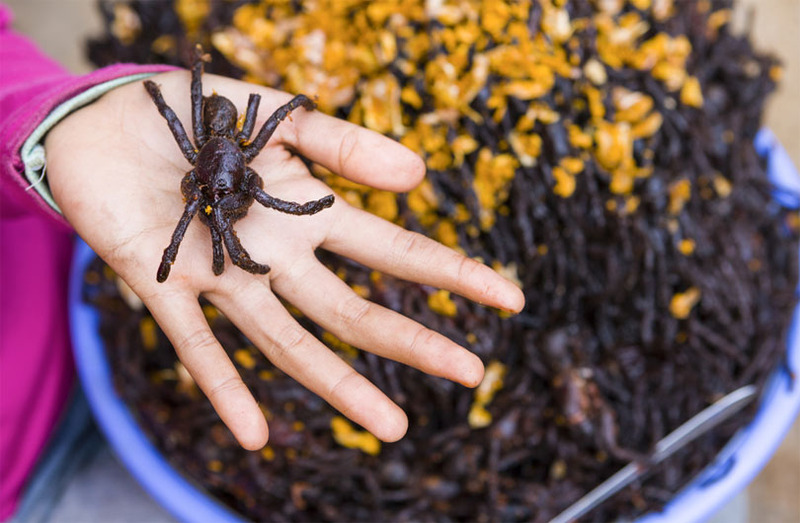 Fried spiders are a popular snack throughout Cambodia, but especially in the town of Skuon that’s been called ‘Spider Village’ due to its widespread availability. Residents of Skuon have long used the spiders in traditional medicine. The spiders that are sold are a species of tarantula—known locally as ‘a-ping’—each roughly the size of a human palm. 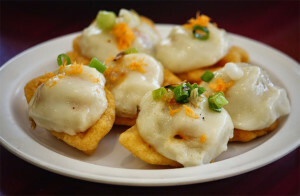 They are deep-fried and enjoyed as a crunchy and savoury snack throughout the day by both locals and tourists. Even celebrity chef, Andrew Zimmern has professed his love of fried spiders, comparing them to soft-shell crabs for their sweet and nutty texture. Balut is a fertilised duck egg that’s most commonly known as a Filipino delicacy though several Southeast Asian countries are known to have (and enjoy) this food as well. To enjoy this delicacy, just peel the top part of the hard-boiled egg and sip the warm broth surrounding the partially-formed embryo before digging into the meaty contents of the egg—the embryo, egg yolk and albumin—preferably with a dash of salt, vinegar or soy sauce. Balut is well-known to be high in protein, but claims that it makes for an excellent aphrodisiac should also be taken with a pinch of salt. The ‘King of Fruits’ needs no elaborate introduction. If you’ve passed through parts of Southeast Asia where durian is a sought-after delicacy, you’re probably smelled it or noticed signs in airports and shopping malls banning durian. It’s basically the marmite of fruits—you’ll either love it or hate it. If you got past the smell and tried durian, you would have experienced the explosion of flavours sparked by the durian’s soft creamy flesh as it lands on your tongue. And yes, you probably wanted more of what you tasted. Bear in mind that there are a wide variety of durians to choose, some more sweet or bitter, and some more wet or dry. So choosing the right durian for yourself is only part of the battle. 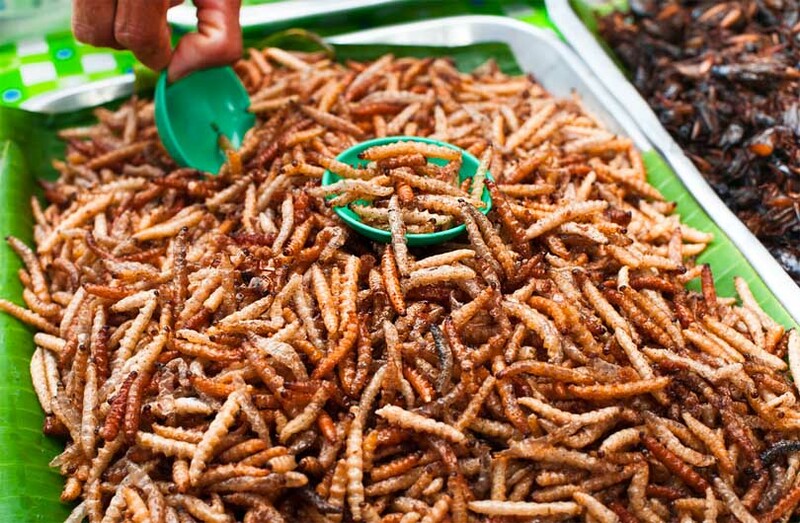 Found commonly in markets, street corners and pushcarts in huge piles, Thailand’s fried insects have never failed to captivate the wide-eyed tourist. There’s always a variety of fried insects available but the most popular ones are grasshoppers, crickets and silk worms. Some of the more exotic insects you’ll find include scorpions and termites. All are deep fried and eaten with a sprinkling of soy sauce, salt or vinegar (not unlike balut) and most can lay claim to tasting slightly similar to crispy chicken. They are also rich in protein and other vitamins and can be a great alternative to other snacks like chips or popcorn. 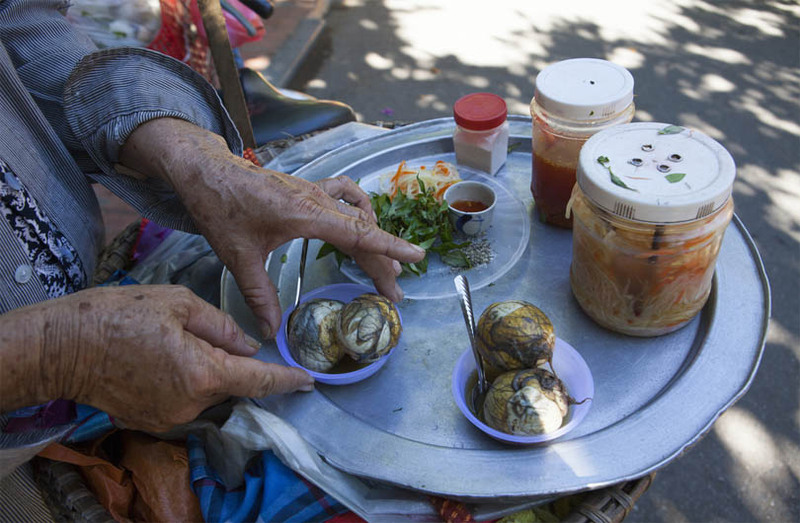 Crickets (known locally as “payit”) and ants are prized delicacies in Myanmar, valued for both their taste and nutritional value. The locals love them and if you’re wandering around Yangon’s Chinatown, you’d find the odd tourist or two getting in on the act as well—a trend that’s been growing over the past few years. 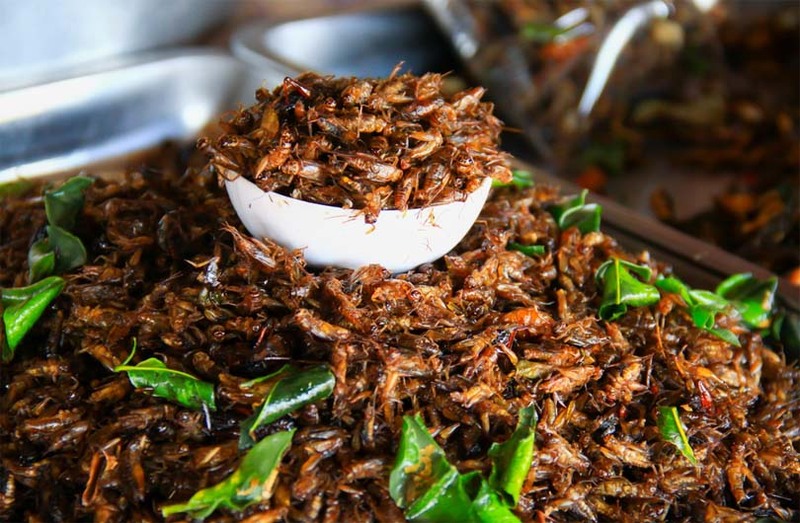 Locals are particularly fond of the crickets—large and fresh during the winter season from November to January—which is deep-fried and taste quite similar to shrimp. There are also plenty of ants to choose from, the more popular ones being “palu” (a type of winged ant) and “kar chin” which are seasonal. And yes, these are also deep-fried to crispy perfection. 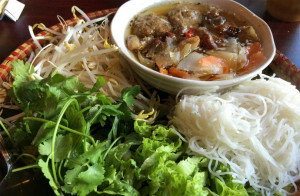 Europeans with a fondness for blood sausages may want to try ‘tiết canh’, a traditional Vietnamese dish made with the raw blood of certain animals such as ducks, geese and sometimes pigs. 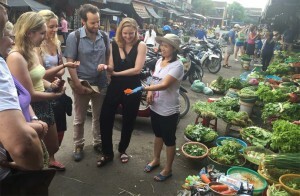 The most popular one is ‘tiết canh vit’ that’s made from raw duck blood. It’s also easy to make: blood from a freshly-culled duck is drained into a bowl and mixed with fish sauce to prevent premature coagulation. It’s then mixed with cooked duck innards, peanuts and herbs before being served. The dish can also be kept in the fridge for up to 24 hours before consumption. There’s also a similar dish in Laos called ‘lued phed’ (duck blood salad) where the duck innards are cooked and left to cool before being mixed with the duck blood and topped off with a variety of herbs—including coriander, mint leaves and Vietnamese mint leaves—and lime juice. 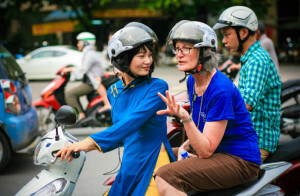 Detoured Asia is the alternative tour experience for travelers in Southeast Asia designed and led by city-savvy locals, currently running in Vietnam, Cambodia, Thailand, Burma and Laos as well as multi-country tours across the region. Visit worthwhile spots and integrate with the culture, without hopping between landmarks and tourist sites. Explore with the ones who know and love the secrets and surprises of their cities. Make your next travel adventure a little more unconventional.